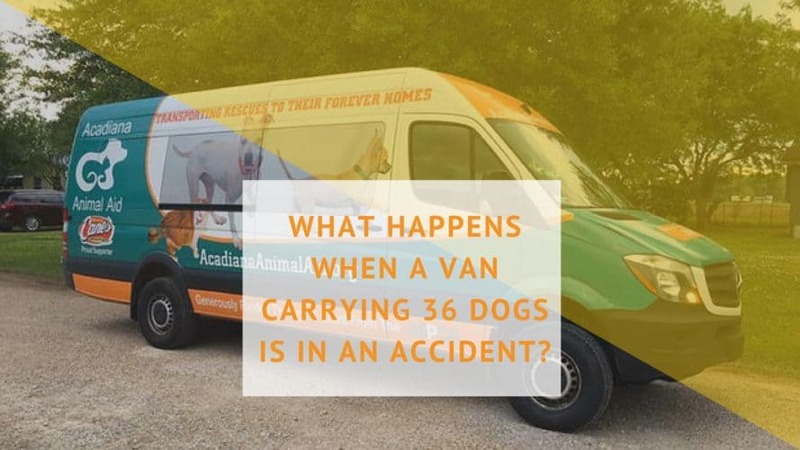 On Friday May 7th, 2016 a van from Acadiana Animal Aid in Lafayette Louisiana carrying 36 dogs and 2 humans was involved in a very serious collision between Wichita Falls and Vernon in Harrold, Texas. A small car without its lights on pulled out in front of the Mercedes Sprinter van travelling 73 mph on the freeway. The van hit the car head on and rolled three times. The passenger of the car was flown to United Regional Hospital in Wichita Falls in critical condition. The driver of the car and both van passengers miraculously escaped serious injury. All 36 dogs involved in the accident also escaped serious injury which leads to our first lesson of this event. 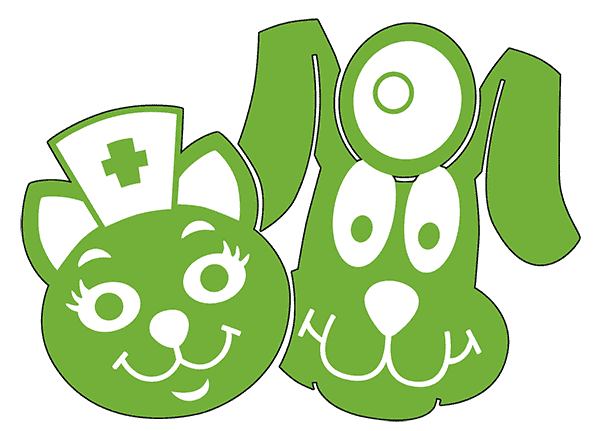 The wonderful workers at Acadiana Animal Aid had each pet secured in quality crates. Even though the van collided with a car at 73 mph and rolled 3 times, the majority of the dogs were just scraped and bruised. One dog did have a broken leg and 4 escaped during the aftermath. These are the crates that were not salvageable. You can see they are cracked and broken but they did their job and saved the pets they were intended to protect. Below are the before and after photos of the van proving how well these crates held up during this collision. What happens when a van carrying 36 dogs is in an accident 8 hours from home and hundreds of miles from their final destination? Good Samaritans appear out of no where along with caring rescue personnel to not only tend to the humans involved but help round up the frightened animals and piece the crates back together to keep them safe while on the highway. The Hager family from Vernon, Texas stepped up with a horse trailer to tote the dogs to Wichita Falls with both Acadiana Animal Aid transporters, Chryl and Carolyn along to help. This is our second lesson. In the midst of unspeakable tragedy, confusion, and bewilderment neither Chryl nor Caroline would leave the remaining animals sides. They refused medical treatment and insisted on accompanying the dogs and helping our team unload them at the PETS Clinic at 1:30am. Click here to see a video of the adorable dogs saved this night. Why was PETS involved? Both the Wilbarger Humane Society and Wichita Falls Animal Services Center were unable to house 32 dogs. Fortunately, our clinic is empty on the weekends and it was an honor to help and a privilege to meet Chryl and Caroline. Even though Animal Services couldn’t house the dogs, Katrena Mitchell and her crew of Animal Control officers were present for every feeding, walking and loading. We were blessed to not just have our own PETS people step up to help these ladies and their dogs in their time of need but the entire community came together. We saw volunteers from every animal organization in addition to caring citizens willing to help, donate money, and crates. The 3rd lesson learned is if you have to have an accident, God Forbid, have it in Texas because the only thing bigger than our state is the hearts of the people that live here. I have never been more proud to be a Texan. The weekend was fast and furious. In lieu of the accident, pet records had been lost and destroyed. The Acadiana Animal Aid in Lafayette, La was frantically trying to get Chyrl and Caroline home safely while also arranging transport for the dogs to their final destination in Colorado Springs. Not to mention the amount of worry and stress associated with almost losing 2 of your team members and 36 dogs. By late Saturday afternoon, the team had a plan and Pikes Peak Humane Society was en route to retrieve the dogs early Sunday morning. What about the 4 that were missing? Sadly, 2 were fatally hit by cars. One was found safe on Sunday and Joy is still missing. Once again, our community stepped up and is still actively searching for Joy but most impressive is Acadiana Animal Aid’s response. They had 4 members en route to find the missing dogs by Sunday evening. They arrived Monday morning and spent all day Monday and Tuesday searching and distributing flyers. Chyrl and Caroline flew home Sunday and arrived safely. All the dogs arrived safely in Colorado Springs thanks to the awesome Pikes Peak Humane Society. Joy is the only dog still missing and she was last spotted at the Harrold’s Truck Stop. Elizabeth, Missy, Vickie, and Anderson pictured below made the 8 hour trip to Wichita Falls to search for Joy just hours after getting their team members home safely. 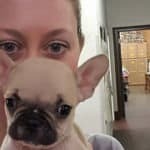 I have always said animal people are the best in the world and this entire ordeal proves it from our local pet lovers to the devotion we witnessed from Acadiana Animal Aid. I am humbled by the support everyone received and gave. I am so proud to have been a part of something this moving and inspirational. Every now and then you see tragedy turn into something good and we did. We now have friends for life in Lafayette, La and they have friends forever in the great state of Texas. We hope you read this blog and look at these pictures and see the unity between all of these animal lovers. This terrible weekend had a happy ending because everyone worked together. We did it, team!